Time might be perceived as scarce in some cultures while other cultural regions in the world feel they have plenty of time. Philippe Rosinski explains very well these differences in his book Coaching Across Cultures. Why is it important to be aware of this in our daily lives in a globalized world? We are all living in an environment composed of individuals with diverse background. We cherish this richness but many times we feel frustrated when people from different cultural background seem to act without common sense. When I was able to overcome the challenge of the difference and to accept it as a way of living, without judging it, it was much easier for me to adjust to this fast pace. I still requested my 3 or 4 weeks of paid time off, that were always granted (I compromised the salary for the time off). At the same time, I adapted very well to the scarcity of time and to my fellow American friends who lives that way. It became actually fun to “travel” from one culture to the other frequently and to find a great deal of benefits in both of the perceptions. 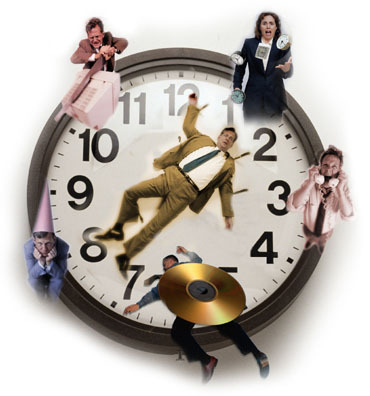 In both your personal and professional relationships to others, next time you find yourself irritated because a co-worker, a cashier or a friend tend to take too much or not enough time to accomplish a task, ask yourself if you are operating on the same perception of time. This individual might very well be frustrating by your behavior as well…By simply acknowledging the difference without judgment, you will simply release the frustration and be ready to bridge the gap! This entry was posted in Changes and Transitions, Culture, Expat Coaching and tagged cultural challenges, global leadership coaching. Bookmark the permalink. Post a comment or leave a trackback: Trackback URL.